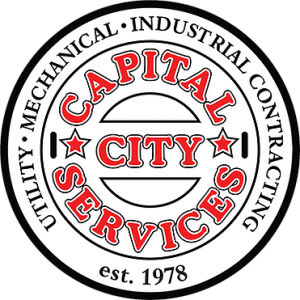 Capital City Services was established in 1978, serving the Mid-Atlantic Region; providing plumbing, drain cleaning and heating & cooling services. During the 1980’s we expanded our services to include pipe and culvert cleaning, underground utility locating and Hydro Excavation. In the 90’s we expanded our services to include wastewater and water treatment plant maintenance and repair; utilizing industrial vacuum trucks and high-pressure water blasting equipment. In addition, we began performing TV Pipe inspections and have provided turn-key project management solutions involving work ranging from installing new water, gas and sewer lines to media blasting and industrial coatings. Today, we lead with 70 years of experience in all areas and phases of general construction, utility work, mechanical & infrastructure, and wastewater & water treatment plants. We are also the only private company in Virginia to offer Microtraxx service and are among a select few contractors who own dedicated Air and Hydro Excavation equipment. After working with our firm, our clients sought our presence in all aspects of construction – which lead us to establish our full service general construction/consulting/project management division.